We understand the unique and personalized needs of our clients, we tailor all our services to ensure they can accomplish their individual financial goals. Barrett & Thomas, P.C., was established to provide accounting, tax, litigation support and business-advisory services to corporations, small businesses and individuals. Because we understand the unique and personalized needs of our clients, we tailor all our services to ensure they can accomplish their individual financial goals. To better meet the needs of our accounting and tax clients throughout Tyler and East Texas, Barrett & Thomas also provides individualized services for small businesses in industries like professional services, construction, retail, consumer and other service-oriented businesses. Covering these fields, specifically and in-depth, enables us to address your industry-specific challenges, compliance needs and industry-standard tax practices. Are you an individual or small business in Tyler or the greater East Texas area in need of accounting, tax and financial consulting services specifically tailored to your needs? At Barrett & Thomas, our professional team is ready to put your mind at ease by helping you take advantage of the financial system and navigate the complicated legal system. We provide a complete package of accounting, tax and financial consulting services tailored to both business and individual clients. We recognize that a credible valuation is crucial in family law, estate tax planning, buy-sell decisions, and other civil litigation support. We assist attorneys and their clients in the dissolution of marriages, the quantifying of economic losses, and the analysis of finances in situations where fraud is suspected. We provide management consulting, profit analysis and strategic and business planning to our small-business clients in Tyler and East Texas. Thank you for your interest in the experienced and knowledgeable team at Barrett & Thomas, P.C. 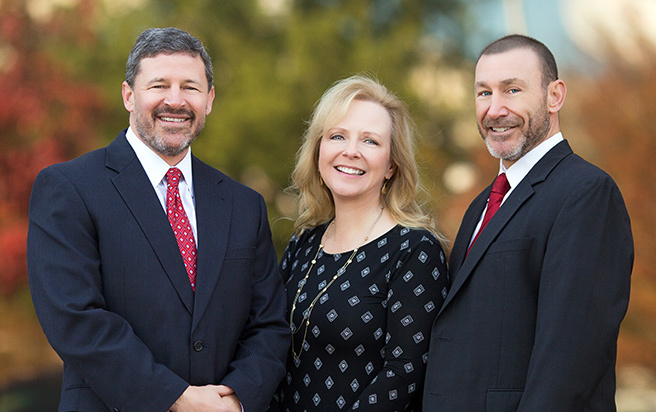 If you are in need of accounting, small business consulting, tax services, forensic accounting, or litigation support for yourself or your business in Tyler, Texas or the greater East Texas area, contact us below.